Please join us on December 11th and Every Month on the 11th as we continue to send our sincere Love & Gratitude to WATER for Peace on Earth. Where: Right from where you are. Sincere love and thanks to each and every one of you for your participation in collectively connecting to your heart for this powerful global prayer wave on the 11th of every month. WaterPeaceProject.org is a 501c3 Non Profit Organization. The mission is to inspire & educate people, especially children, the importance of WATER for Peace. Be it through water conservation, water purification, and the education of how precious water is to all humanity. We Are Water. The Water Peace Project fulfills its mission with it’s #We Are Water Educational Program which aims to engage students in interactive activities that provide a diverse platform for children to learn about water, while building a relationship and understanding of their connection with water. Please Support the Water Peace Project by making a DONATION today. With your support and a small donation the Water Peace Project will ripple out one heart at a time.... with Love & Gratitude. If you would like to hear from Water Peace Project for 2016 ~ Please complete our form here. This beautiful 2016 Water Crystal Calendar is a special gift to you when you support the WATER PEACE PROJECT by making a $25 donation. If you would like to receive this special calendar and support the Water Peace Project. 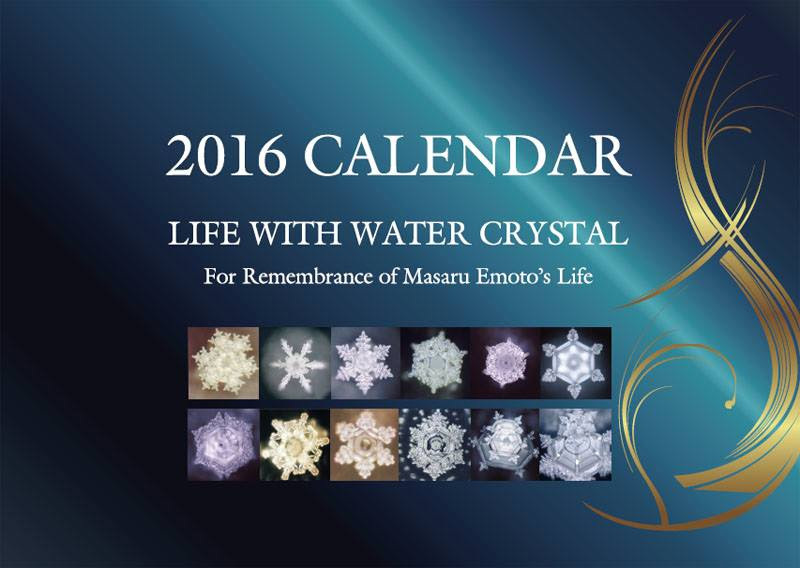 The calendar was created in remembrance of Masaru Emoto's life. A beautiful water crystal photos was selected for each month for you wonder and enjoyment. 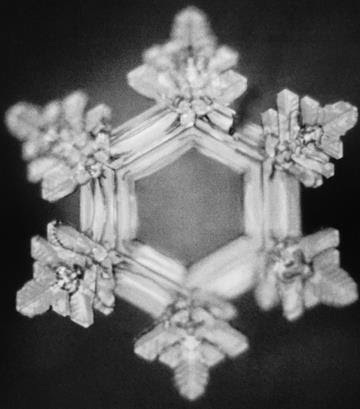 It has been more than 20 years since the birth of water crystal photography. 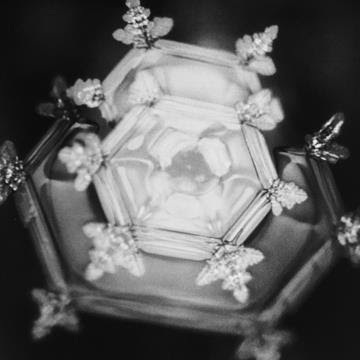 In 1994 the first water Crystal was taken from a micro clustered water sample. Dr. Emoto said he would never forget the excitement and happiness he felt at that time. Since then our laboratory staff continues to go into the cold refrigerator day after day to take frozen water crystal photos. In the past 20 years, we have taken more than 100,000 water crystal photos, more than 20 water crystal related books have been put out, and thankfully such books have been published in more than 40 countries. 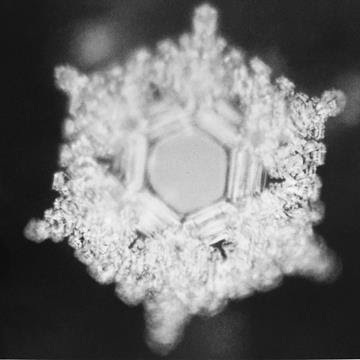 Dr. Emoto selected the water crystals for the calendar that were the most memorable and meaningful to him over the past 20 years. Every single water crystal is so special. Water shows us with it's crystal figures, the beautiful providence of its nature. Dr. Emoto said he would be most grateful and pleased if you could recall your feelings of gratefulness for water as you see this calendar. Though we tend to forget the great benefit of water because water has been always with us so closely, we cannot exist without water. And like earth, we are 75% water. So, let us take it into our heart, offer our appreciation, and send love to water. If we change ourselves, our surroundings will change. If our surroundings change, the world will change. So, let's pray for peace on earth through water! Words can not express the love and gratitude we feel and are able to spread because of your support and donations. We selected these special Water Crystals from the heart to share with you for the holiday season. It was Dr Emoto's request in his book Love Thyself for you to try to feel something while looking at these images. Below he tells us what emotions and thoughts the photos elicited in him, but only as an example. For it is what you experience is what the water intentds to tell you. Love & Gratutude To ALL For Peace On Earth.